All that 1080p goodness isn’t just for gaming. OUYA brings all your favorite apps to the big screen, streaming shows, movies, and music directly into the living room. XBMC should have been preinstalled with the consumer retail release of Ouya, but for now you’ll have to do a little bit of legwork to sideload the XBMC application to your OUYA gaming console device. Fear not, it’s super easy and won’t take more than a few minutes of your time. Step 1: Start up your OUYA gaming console, we’re assuming you’ve already used it at least once before. Step 2: Navigate to the “MAKE” tab under the main menu. Step 3: Choose the “SOFTWARE” tab listed. Step 4: Select the “Browser” which is an icon that looks like a globe. Step 5: Using the remote control’s touchpad, go up to the top and choose the address bar field. Step 7: Click on the “Android*” link to begin the software download process. Step 8: Wait about 5 minutes without touching anything, depending on your internet speed as there will be no indication of the download completion. Step 9: Press the “A” button on the remote control several times to go back to the main menu. Step 10: Choose the “MANAGE” tab this time. Step 11: Now select the “SYSTEM” tab from the listed options. Step 12: Choose the “ADVANCED” menu at this point. Step 13: Under the “DEVICE” heading, click on the “Storage” option. Step 14: Choose the “Downloads” heading and you’ll see a popup appear with your downloads. Step 15: Click on the “xbmc-12.2-Frodo-armeabi-v7a.apk” option listed. Step 16: Choose to “Complete action using” the “Package installer” option. Step 17: Click the “Just once” button underneath. Step 18: Select the “Install” button at the lower right of the window. Step 19: Once completed, choose the “Done” button at the bottom left. Step 20: Press the “A” button on the remote control a few times to return to the main menu once again. Step 21: Click on the “MAKE” tab from the main menu listing. Step 22: Choose the “SOFTWARE” menu option. Step 23: Click on the “XBMC” icon for the first time, wait a few minutes for it to complete installation. Step 24: Exit “XBMC” by clicking on the little power button in the lower left corner of the screen, then choose the “Exit” option when prompted. Need even more help? Go to XBMC official wiki how-to page for OUYA here. With 3rd party addons for XBMC, watch any movie or TV show absolutely free. Even live TV is available for free. Navi-X is a great place to find everything to could ever want. 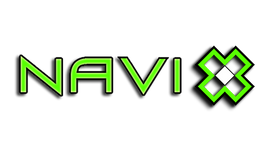 Even start your own account with Navi-X and upload and share your content. One of the orginal addons for every TV and movie ever made all in one place. Visit the website to learn all about icefilms and what it has to offer. One of the best, and has more content than 1channel. 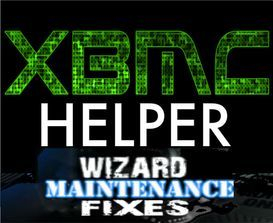 This is a must have addon for any serious XBMC user. Customizing XBMC is just another reason why XBMC is the best and goes prefectly with Ouya. 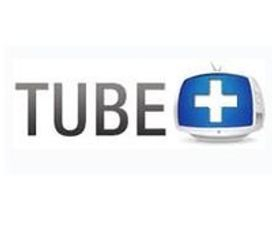 Follow us on YouTube,teTwitter and Facebook. Remember to share, like and subscribe to all our channels and social sites. We will help you troubleshoot and fix any issues with Ouya the the various software applications. We are your All-In-One media source, we make Ouya Simplified!